Betty came across these little guys in a biology lecture theatre the other day. Not vegan. Not suitable for small children. But elegant. 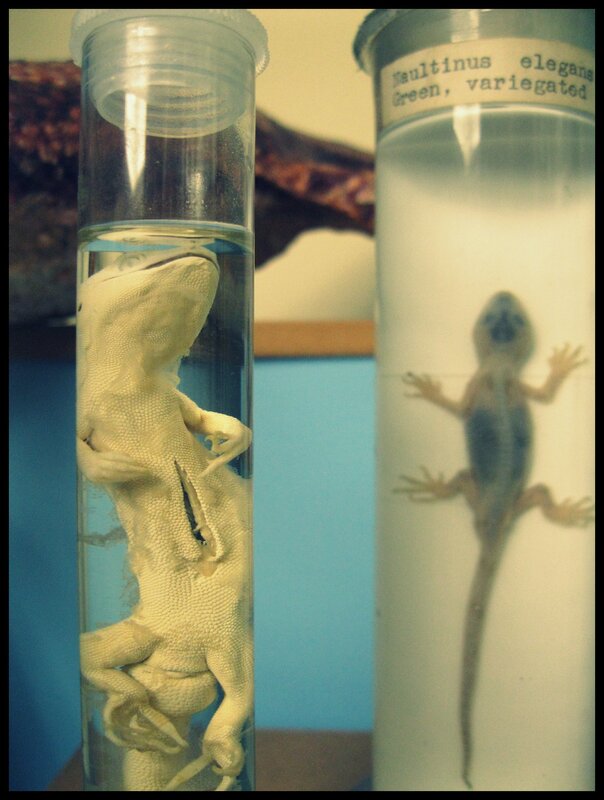 This entry was posted in Photos and tagged biology, lizards, preserved specimens, university.